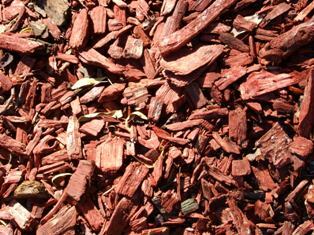 Also if you want a certain color or aesthetic look to your landscaping plan, mulch comes in just about every imaginable color these days. 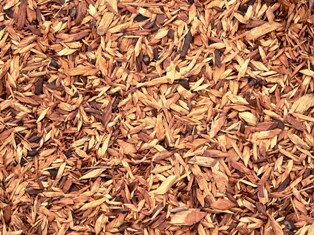 Beware though that this mulch is usually lower quality wood and is artificially dyed. Usually after a summer or two the dye fades quite a bit and it is necessary to keep putting a new layer on top to keep the bold color. For that reason alone I suggest going with a natural wood mulch. Almost every landscaping, home improvement store, and nursery carries mulch. Heck I’ve seen a lot of gas stations that carry mulch too. Obviously when it comes to mulch you are much better off purchasing it in bulk (by the cubic yard) that you are buying it in the individual bags as the price will be a fraction of the cost. If you have access to a truck, picking up your own mulch can save you quite a bit of money versus having to have it delivered, especially if you live quite aways away from the source. If you don’t have access to a truck you may want to consider talking with your neighbors and see if they would be interested in going in on some mulch together to save on delivery costs (I have seen this done in my neighborhood). Before you run out to the local landscaping center it may be frugal to call some of the local tree trimming companies and see what they do with their wood chips. Some of these companies pay to dispose of the wood chips so they may be happy to drop them off in your yard for free. Also some local city and county recycling/compost sites offer free mulch for residents so there is a good chance that you may be able to get some or all of your mulch for free. If you plan on mixing plants into your landscaping plan there are a couple ways you can save money on the costs. As with the mulch you should see what you can get for free before you actually pay for anything. 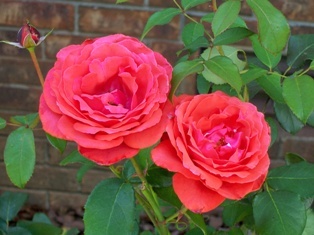 Often bushes/shrubs/flowers can be gotten from friend/family/neighbors/etc. 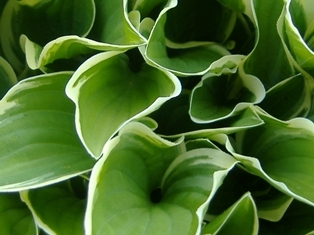 Many bushes such as the Hosta can be split, moved, and both the original and the new bush take grow like nothing happened. The same can be done with many varieties of flowers, and even shrubs. After you’ve exhausted all of your free options, probably the next best thing is to start your plants from seeds. This can save you tons of money in the process as seeds can be gotten for a couple cents per plant in most cases. It just takes a little planning ahead and patience, but you can get all the beautiful plants that you want for a fraction of the cost. Not to mention it’s really easy and fun. You can purchase seeds online and at most retail stores. Some sites that I ran across are (valueseeds.com, and dianeseeds.com) If you look around online at various garden forums or maybe even local garden clubs you can probably get seeds for free as from what I’ve seen gardeners like to help other gardeners out. You can start seeds in your house in late winter/early spring and can help you get over the winter blues if you live in a northern state, kind of gives you the hope of spring being right around the corner. 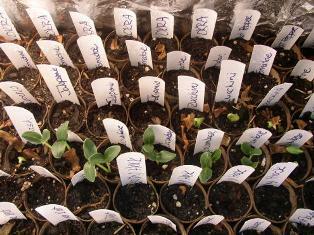 Just Google “starting seeds indoors” and you will get all you need to know about starting seeds. Like I said it’s cheap, easy, and fun. Seeds can be started in just about any small container and all they need is warm temperatures and access to sunshine or halogen lights once they sprout. Often setting them next to a window sill will be ample sun light, but some people who really go to town set up halogen shop lights over their plants in their basement to make sure they get all the light they will need. Check out this person who is truly frugal and didn’t even need to buy potting plants, she just reused old toilet role cores. Got to love how frugal gardeners can be!! If you do order a tree/bush/plant online or even your local landscaping company you may want to ask to see if they offer bare root tree/shrubs/plants. 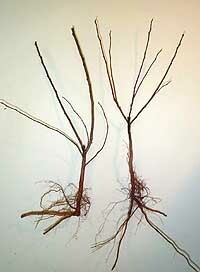 Bare root is basically a plant that is not planted in soil which renders the plant dormant. The beauty of bare root is that is saves a ton in shipping costs and from my research these plants have just about as good of chance of surviving as a potted plant. The good news for you the consumer is the price is often cut in half if you go bear root. When we had Mr. expensive landscaping company come over and quote out our landscaping they offered bare root and it was about exactly half the price due to the ease of delivery and less potting supplies they had to supply. They stood behind these plants and they had the same warranty and same success guarantee as the plant trees/shrubs. They also said that they would grow and flower just as well as the plotted variety. So be sure to ask about bare root options whenever purchasing landscaping plants, especially if you have to pay shipping costs ordering online.